France coach Guy Noves has made five changes to face Wales in the Six Nations in Cardiff on Friday. Maxime Machenaud returns at scrum-half and wing Djibril Camara makes his debut in a change forced by injury to Teddy Thomas. There are changes in each row of the French scrum following their 10-9 win over Ireland. Rabah Slimani comes in at prop, Paul Jedrasiak at lock and Antoine Burban is on the flank. Scrum-half Sebastien Bezy, prop Uini Atonio and 44-times capped lock Yoann Maestri drop to the bench, while back-rower Yacouba Camara is a travelling reserve. Fly-half Francois Trinh-Duc is part of the squad for the first time under Noves, while centre Gael Fickou is alongside him on the bench after missing the Ireland game for personal reasons. Wales and France are unbeaten going into the encounter. Noves wants his side to satisfy those observers who wish to witness traditional French flair. He said: "I don't believe in winning 'at any cost.' We must adapt but we must keep a certain level of French flair. For the future of rugby." Home coach Warren Gatland hopes that will translate into an attacking approach that would make for "happy days" for Wales. Gatland's side last lost to France in the 2011 World Cup semi-finals and he said: "Everyone talks about French flair and where has the French flair gone. "In the past they had world-class quality players on attack. "The reason there's not so much French flair anymore isn't that they haven't got the players, it's just teams defensively are so organised. There's no space on the field. "You come up against an organised defence on the field and people who are as conditioned and fit as you are, you've got an ability to shut teams down and that's what's happened to the game. "In the past they've gone out with the attitude of saying 'jouez, jouez, let's play' and for teams like us that's just happy days - we love that kind of thing, it's so easy to shut down." 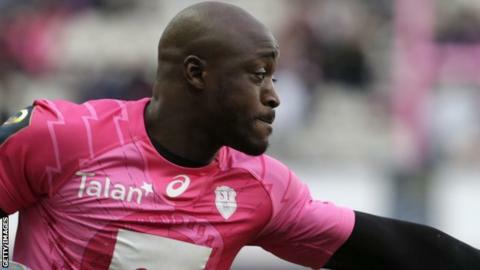 France: Maxime Medard; Virimi Vakatawa, Maxime Mermoz, Jonathan Danty, Djibril Camara; Jules Plisson, Maxime Machenaud; Jefferson Poirot, Guilhem Guirado (capt), Rabah Slimani, Alexandre Flanquart, Paul Jedrasiak, Wenceslas Lauret, Antoine Burban, Damien Chouly. Replacements: Camille Chat, Uini Atonio, Vincent Pelo, Yoann Maestri, Loann Goujon, Sebastien Bezy, Francois Trinh Duc, Gael Fickou.